A beautifully appointed, new apartment which has been specified and arranged by a professional interior designer to ensure a wonderfully calm, well composed living space. The apartment is on the top floor of this wonderful new building and has full height windows throughout to make the most of the views and to allow sunlight to flood the space. The apartment is supplied with every facility you need for an extended stay. Entrance to the building is via a clean, bright, secure foyer area. One parking space is available in a dedicated, secure, private car park. A lockable bike shed is also available. Treeline Property Ltd provide beautifully presented serviced accommodation in the Stamford and Peterborough area. 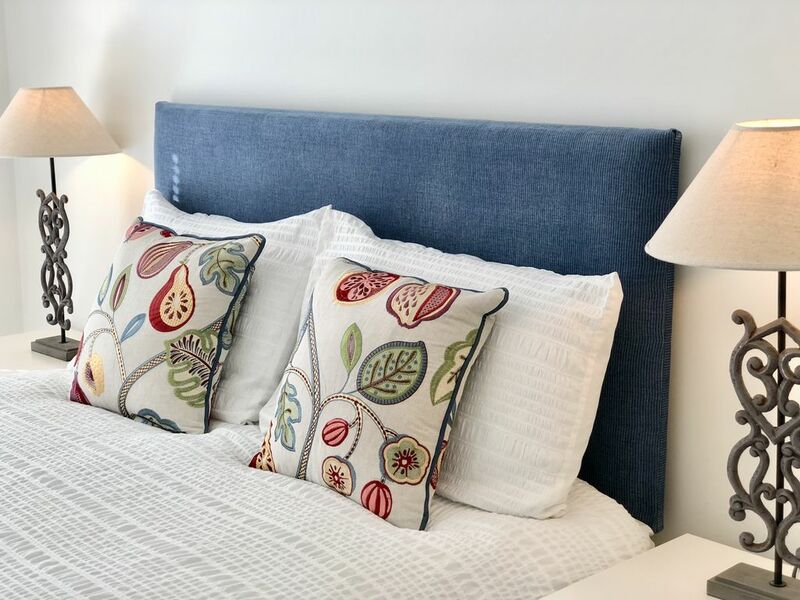 We are committed to providing our clients with wonderful spaces in which to stay, whilst ensuring that they receive faultless customer service. The apartment is on the second floor accessed by stairs. There is no lift. We booked for three nights at very short notice to spend Christmas in Peterborough. Gary greeted us on arrival and showed us into the apartment. He was friendly and welcoming. It's very nicely appointed, very modern and comfortable. There are shops and restaurants just over the road and one of the shops was open on Christmas Day. Our main priority was being near Peterborough but there is easy access to the surrounding countryside, so we had our Christmas Day fresh air at Holme Fen. Thank you for your kind review, we are so glad you enjoyed your stay and found the apartment to your liking and appreciated that the local shops and restaurants were so close by.